simple girl. I am purely vegitarian by food habits and religious person. I like to go the temples. I like to mix socialy with others and help them. I like reading books and also like to write. Recently I have written one book on Lord Khandoba which will publish in next month by Dharmik Prakashan Sanstha. I am living with my mother in mumbai. My elder brother and father is no more in this world and elder sister is married in mumbai. Now days I am taking care of my mother and house. Also want govt hence trying in MPSC too. 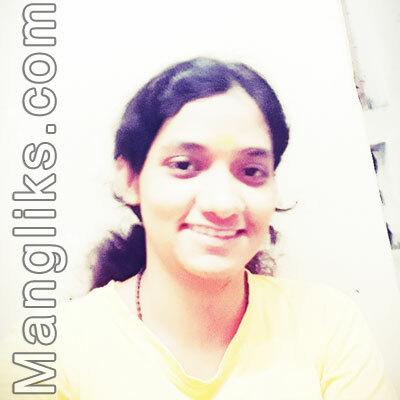 I am a mangalik girl hence want to marry with a guy who is mangalik and whos kundali match with my kundali. I am purely vegitarian and religious person hence would prefer a guy like the same.